Lunati 85340 - Aluminum Roller Rocker Arms Chevy 305-350 Self-Alingning 3/8"
Does Proform 66914 fit your vehicle? 66914 is rated 5.0 out of 5 by 2. Rated 5 out of 5 by shorinji65 from Easy to install, adjust, and easy to adapt I have a 383CID with torque heads and finding Roller Rockers who are truly self align is hard. This do just what they say, self-align! 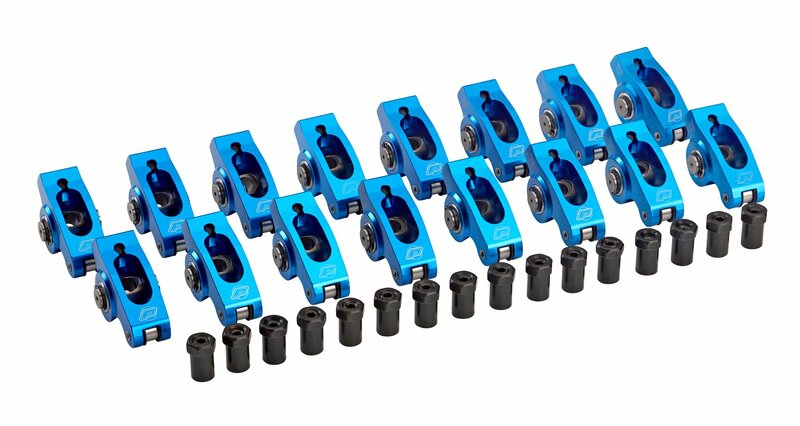 You will need to use a taller valve cover with these roller rocker arms. Will these work on stock LT1 heads? Yes, these should fit your LT1 engine. Are the rocker nuts included in this set? Yes, the rocker nuts are included in this set.